Children from the Off the Street Club trick-or-treated through Wrigley's offices at 600 W. Chicago. 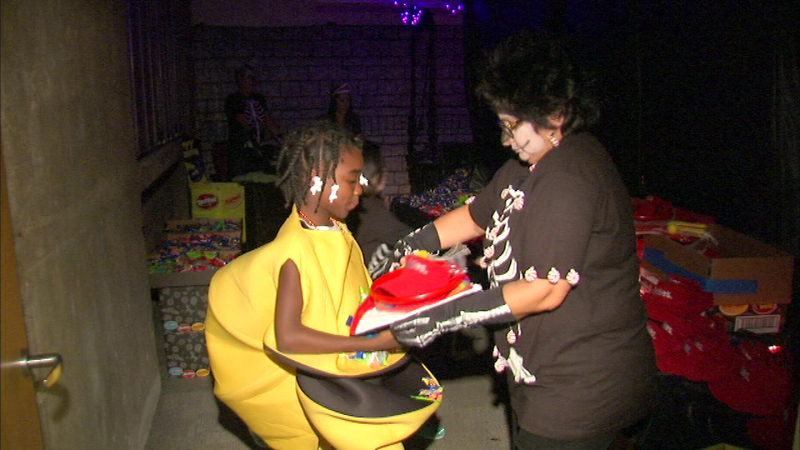 CHICAGO (WLS) -- Halloween came early for some kids in Chicago's River North neighborhood. Children from the Off the Street Club trick-or-treated through Wrigley's offices at 600 W. Chicago on Monday. The candy company transformed conference rooms into spooky scenes where kids collected goodies.